The Secure Webinar feature is available for an additional fee, allowing for a host to broadcast a session to a large number of attendees. Attendees are able to submit questions/comments by public or private chat, which hosts can then answer live or by public or private as well. For a quote to enable Secure Webinars on your account, or to disable it, please contact our Sales Team at (888) 200-7730, or [email protected] . 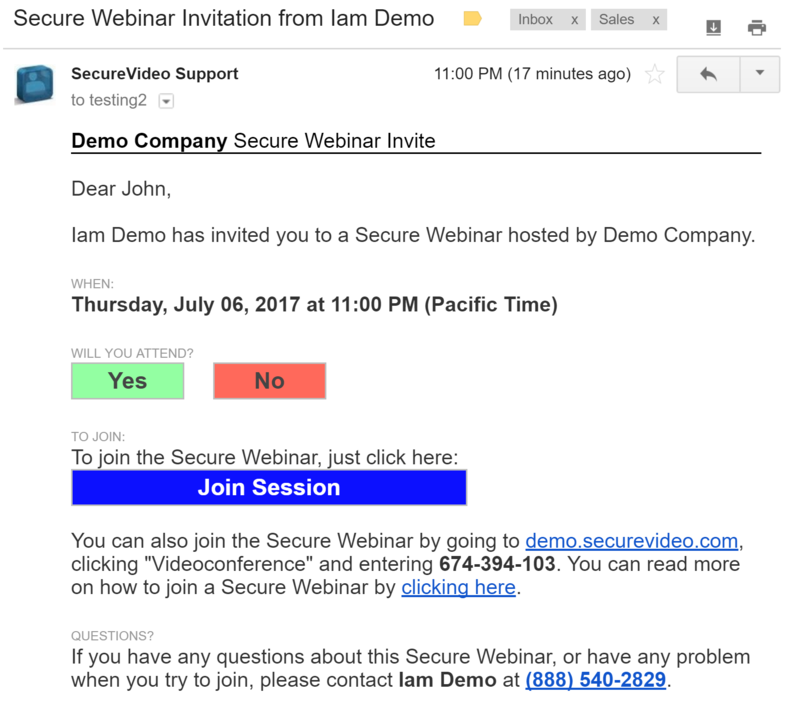 This support article illustrates how an attendee joins a Secure Webinar, and actions they can take during the webinar, assuming the host has not disabled any of the below options. 2. 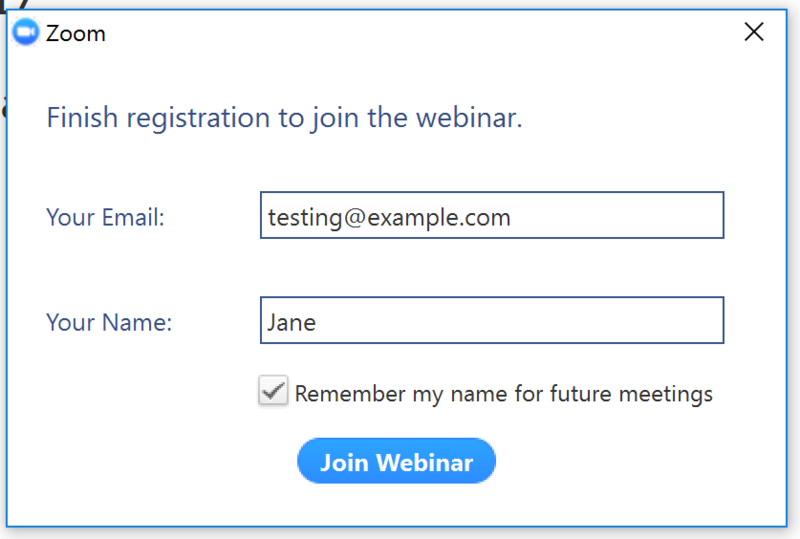 At the time of your webinar, use Join Session button in the e-mail. 3. 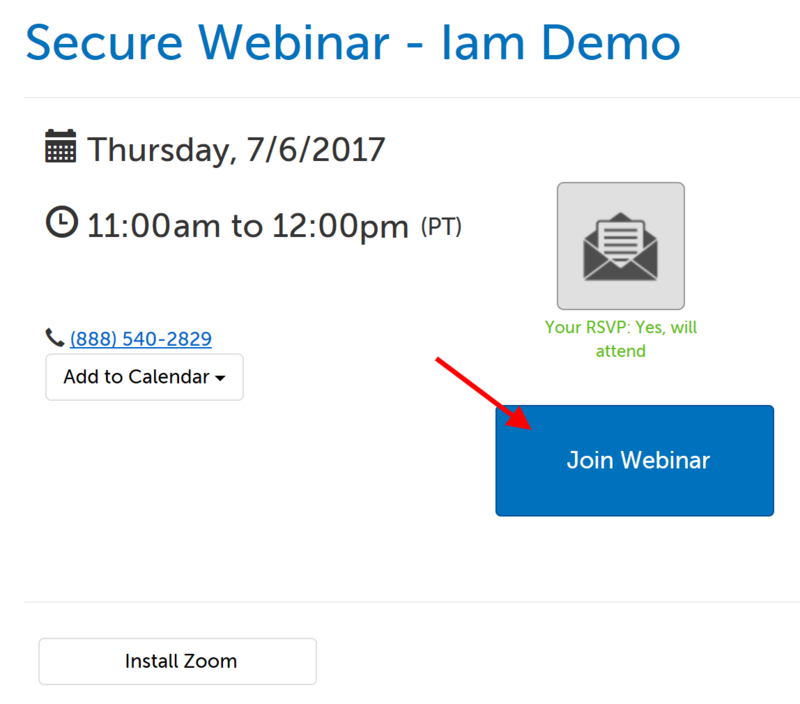 On the browser page that opens, use the "Join Webinar" button. 4. Depending on your browser/operating system, you may have to give Zoom permission to launch. 5. When Zoom has successfully launched, you'll see the below message. Enter your email address and click "Join Webinar". 6. 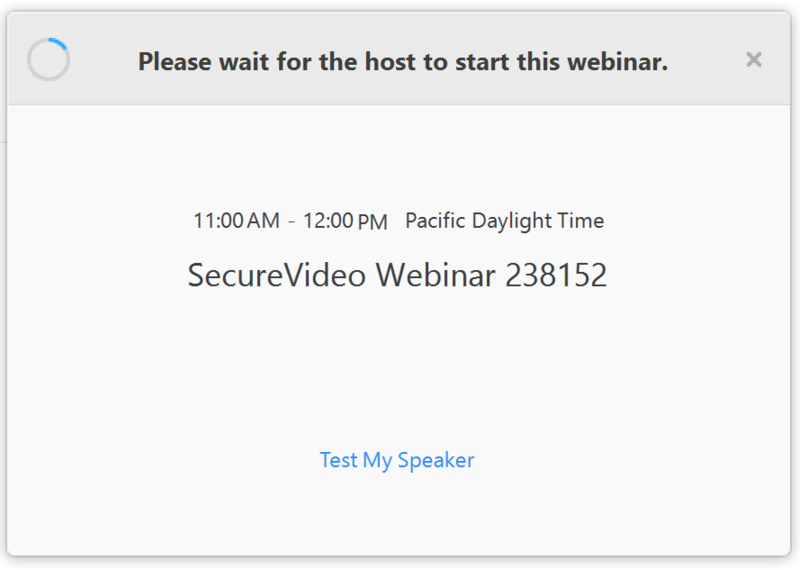 If the webinar has not yet started, you'll see a notification to wait for your host. Once the webinar starts, you will automatically be connected. 1. 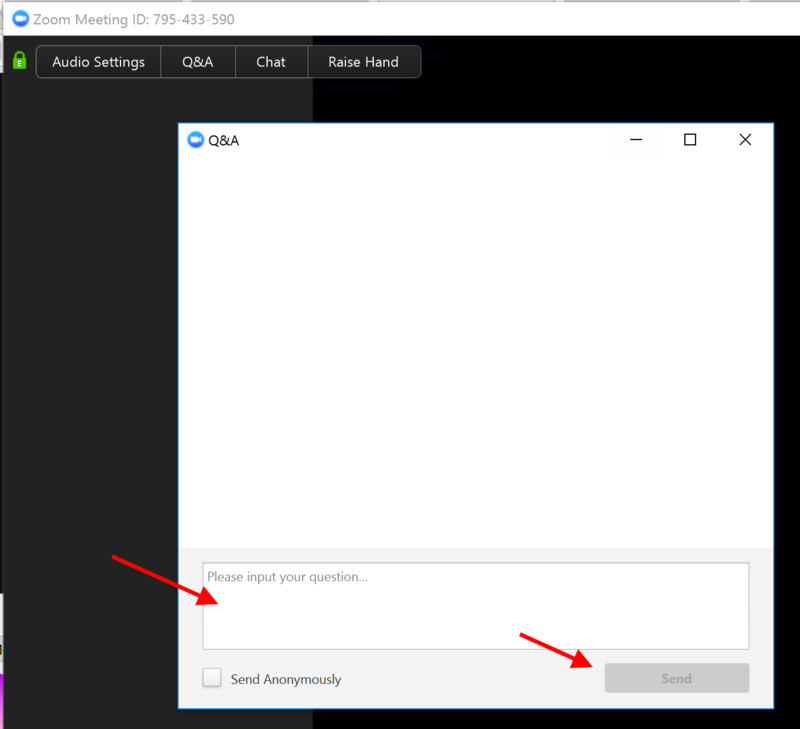 In the upper left hand corner of the video window, click on the "Q&A" tab, and a message window will appear. 2. Type your question into the box at the bottom, and then click the "Send" button. To submit the question anonymously, check the box "Send Anonymously" before clicking the "Send" button. Questions are visible to panelists when they are submitted. Panelists can choose to make answers to a Q&A public. If so, your name will be associated with the question, unless you send it anonymously. 1. In the upper left hand corner of the video window, click on the "Chat" tab, and a message window will appear on the right hand side of the video window. 2. Enter the message you would like to be seen by the webinar's panelists, and then click the "Enter" or "Return" key on your keyboard to submit it. To send a chat that will be visible to panelists as well as other attendees, click on drop-down menu next to the "To:"
This article was last reviewed by our Support team on June 30, 2017.